Living in one of the biggest holiday destination points in the world means sooner or later your life will become hijacked by visitors demanding you to show them a good time. And sure, you know that a good time does exist, but sometimes it gets lost between the crazy Tube commutes, Deliveroo orders, and Netflix overdoses (but seriously, have you seen Making a Murderer yet?! ), and it takes an intruder-guest to remind us to get out there and see this amazing city that drew us all in to start with. Here are all of the activities you’ll both enjoy, sorted by price (so if you need to save money for Deliveroo later in the day, you can). Welcome to a land of DIY meets “One man’s treasure is another man’s trash.” Sure it’s a bit crowded, but when you’re surrounded by crazy vintage everything, up and coming designers, street food, and the best of the, um, creative locals, you’ll find yourself suddenly needing to up your cool factor. Be sure to grab a salt beef bagel to start you out -- they’re the best in town. For those who have a green thumb (or at least pretend to), stroll along one of the more picturesque streets in East London and eye up everything from fresh cut flowers to 10ft banana trees and everything in between. 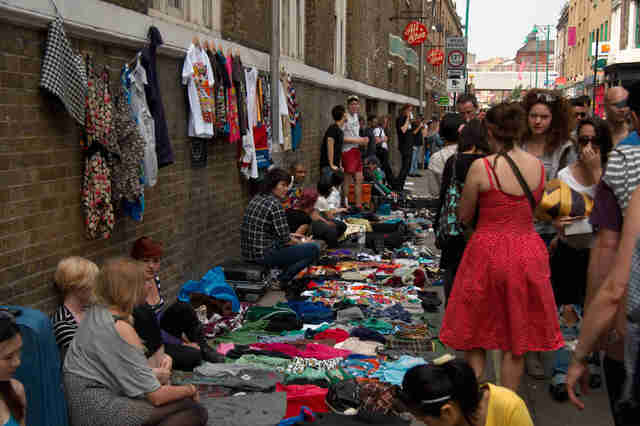 Many of the stalls have been there since the ‘70s, and the calls of “everythin‘ for a fiver!” creates the perfect back track. Columbia Road itself is loaded with little independent shops and cafe, so there’s plenty of pit stops to keep you watered. London is loaded with some pretty jaw-dropping sights and the walk along the river, from Tower Bridge all the way up to Westminster, covers many of them. Grab some street food and keep your camera at the ready as you pass by London Bridge, Shakespeare’s Globe theatre, Millennium Bridge, the Tate Modern, St. Pauls Cathedral, The National Theatre, The London Eye, Westminster Abbey, and Big Ben. No matter what you and your guests are craving, you’ll find something to fill it in this maze of food. Although it runs from Thursday-Saturday, it’s the weekend that everyone comes out to play -- food stalls and foodies alike -- so grab a drink, a side of zen, and just go with the flow while eating everything in sight. There have been few killers that have ever risen in notoriety such as Jack the Ripper and his brief but extremely colorful rampage of East London in the late 1880s. Over 100 years later, people are still mulling over whodunit with no amount of certainty, just some pretty wild imaginations. 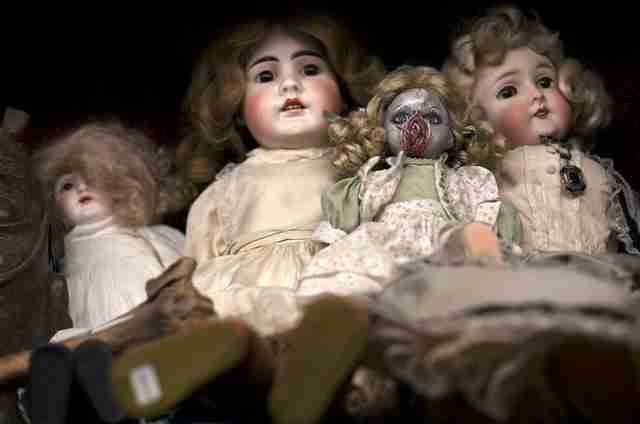 Get ready for some goosebumps and a heavy dose of history as you walk around the murder sites and hear just some of the theories. One part taxidermy shop, one part museum, one part bar. This place is not for the faint of heart, yet it’s safe to say it’s really one of a kind. This bilevel wonderland of the strange is filled with everything from vintage Happy Meal toys to a skull cabinet and a corner-table with a stuffed lion. To revive you after viewing the curiosities, head to the tiny (and very peculiar) bar downstairs that boasts a solid mezcal selection. If you live and die for the Ashes, then head to the “Home of Cricket” for the inside scoop. With over 200 years under its belt, these walls would certainly have a thing to say. Have a nose around the world’s oldest sports museum and eye up the coveted Cricket Urn plus hang out at The Pavilion, the Grade II listed building which holds the Long Room and the dressing rooms. Charles Dickens, George Orwell, TS Eliot, Lord Byron. These are just some of the more famous writers London has helped inspire, but of course they did more than just put words to paper. Each one spent as much time in a glass as as hunched over a desk, so take a walk in their shoes and visit where they went for inspiration, celebration, and probably a fair bit of procrastination. Be honest, you were totally that kid who played Monopoly by yourself, right? 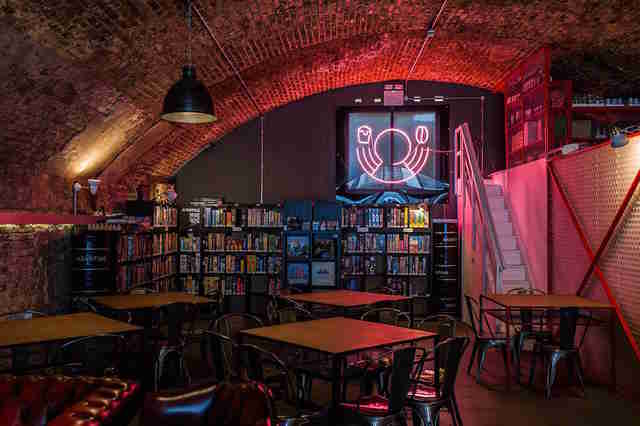 Well when the weather is being less than awesome (which, let’s be honest, is most of the time), hide away in this old railway arch and pick from over 500 games to wile away the hours. 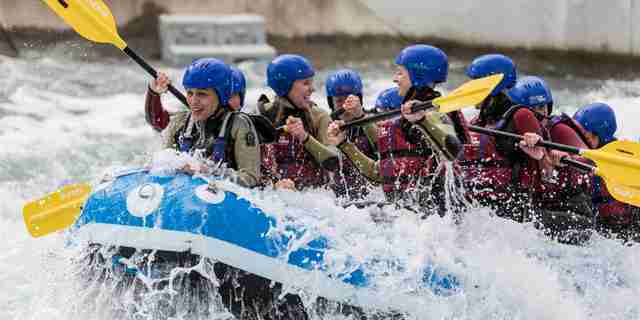 They’ve loaded up with a small food menu as well, so once you pay your £5 session fee, you can stay all night long. Before you do your walk along Southbank, stop first at the small but perfectly formed Design Museum. Filled with a combination of really normal things and wacky bits of innovation that make your life a bit easier through creative design. This is the future people. 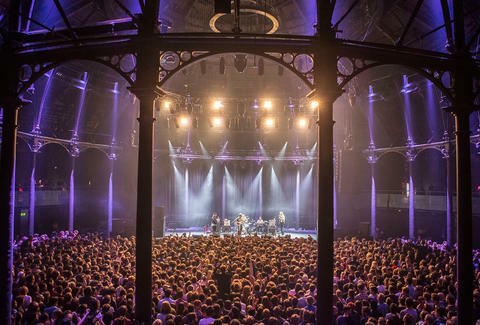 Hosting everything from mega concerts, to the circus, to immersive theatre and then some, Roundhouse is up there as one of the best venues in the world. Sure, they’ve got some of the best lighting and sound equipment in the UK, and there’s not a bad spot in the house, but the room itself is absolutely stunning with its massive domed ceiling. While watching Han Solo have a little “bonding time” with Kylo Ren is totes emosh, it would be a bit on the empty side without those tunes play on heartstring. Watch some of your favorite films (Raiders of the Lost Ark, Back to the Future, etc.) in pretty fantastic venues (Royal Albert Hall, for example) with full live orchestras playing the soundtrack for added OMG moments. 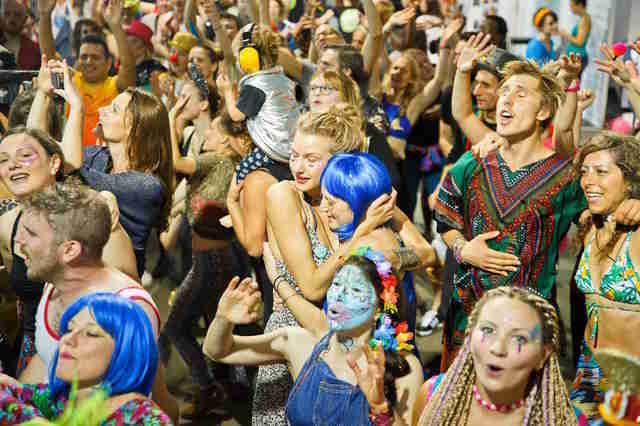 Being covered in glitter and face paint while sweating it out at a dance floor at 6:30am might remind you of a weekend many years ago, but this is a different kind of rave. Starting at 6:30am, these guys are all about coffee, smoothie bars, massages, and “raving your way into your day” with pre-work dance parties complete with mega DJs, costumed dancers, and crazy decorations. The last couple years have seen modern cinema breaking out from traditional theaters, spilling out into car parks, roof tops, gardens, underground tunnels and almost anywhere you can fit some chairs and a screen. With companies like Rooftop Film Club, Luna Cinema, Nomad Cinema, and Secret Cinema doing screenings year round, there is always another world to get amerced into. 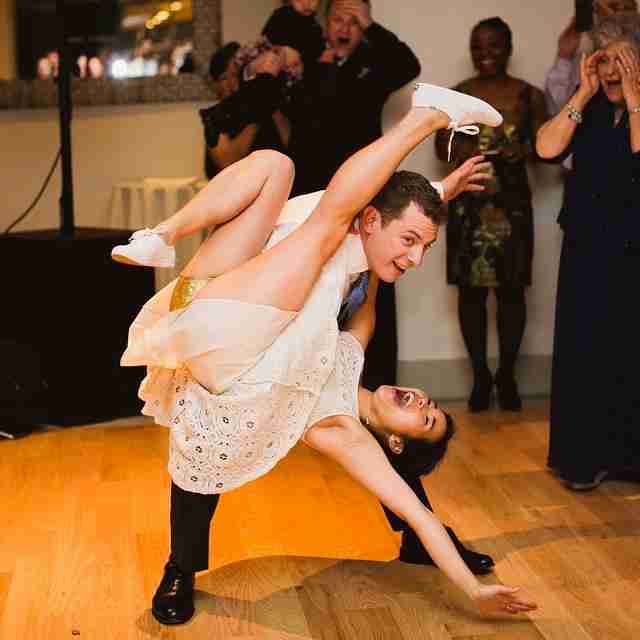 Loaded with energy that’ll have you grinning like a happy idiot, swing dancing is one of the best ways to sweat it out and have way more fun than the hamster on a wheel routine. Swing Patrol put on over 40 classes a week at all levels, plus socials, performance balls and even a Swing Festival. Rock up in jeans or get sharp and dapper, you don’t need experience to swing it out. This is not your gran's game anymore. Loud music, crazy stage show, lots of glitter and even more booze and suddenly this is an out and out awesome party where anything can happen. Bingo traditionalists (apparently thats a thing) love to hate, but as long as that bingo basket is spinning, the games are gonna keep on going. Cheese: The dairy that prevented a thousand vegans with its sinful deliciousness. The masters of all things cheesy are there to make sure you never consider giving up it’s creamy goodness with classes several nights a week covering everything from wine matching, chocolate pairing, the science of taste and more. 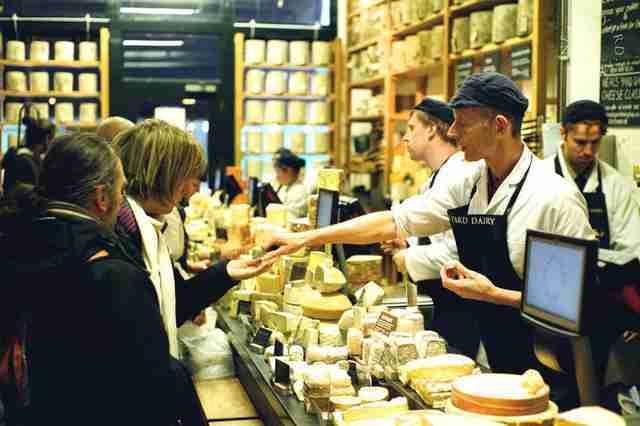 While these 2 hour sessions might set you back in the ballpark of £80, think of how good friends you’re about to become with your local cheesemonger with this new found knowledge. And friendship can lead to free cheese, which really has no price. While street food and pop ups are pretty much part of every day life, supper clubs still lurk in the shadows but are generally pretty awesome. With feasts in every cuisine served in any kind of setting -- frequently the budding chefs homes -- these intimate dinners end up feeling like house parties where everyone becomes friends by the end. Although not technically the very top, Gong has a couple major things above The View: 1) there’s no tickets or cover charge. However... 2) they have awesome booze, which means whatever money you save will go down anyway in liquid form. But we think that’s a much better use of your cash money. Just because you’re progressing on that whole growing up thing, doesn’t mean you have to abandon sleepovers or dinosaurs. 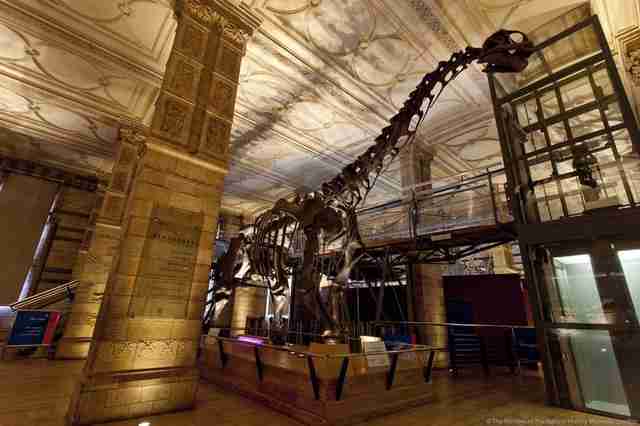 In fact, adult real hard at the Natural History Museum where they do all-nighter events filled with a three-course dinner, live music, cocktails, movie marathons, and even hot breakfast after your night with some of the greatest skeletons on earth. These slumber parties sellout crazy fast, so do a little homework and book yours ASAP. Haley Forest is a writer in London who would gladly spend all her money on cheese classes. Follow her at @HCForest.